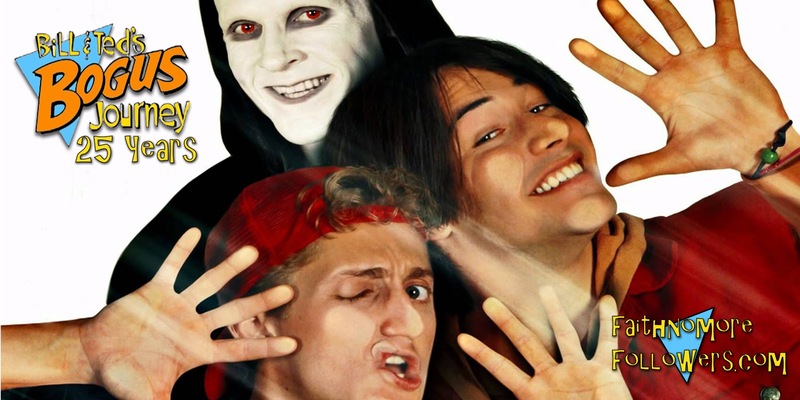 Bill + Ted's Bogus Journey: Music from the Motion Picture was released on July 9th 1991. The soundtrack to the second Bill and Ted movie featured a great lineup including Megadeth, Primus, Kiss and Faith No More. The song FNM offered up was The Perfect Crime, a feel good bass and keyboard driven heart pounder. Astute fans had heard an early version of the song titled Sweet Emotion free with issue 258 of Kerrang! magazine on flexi disc. 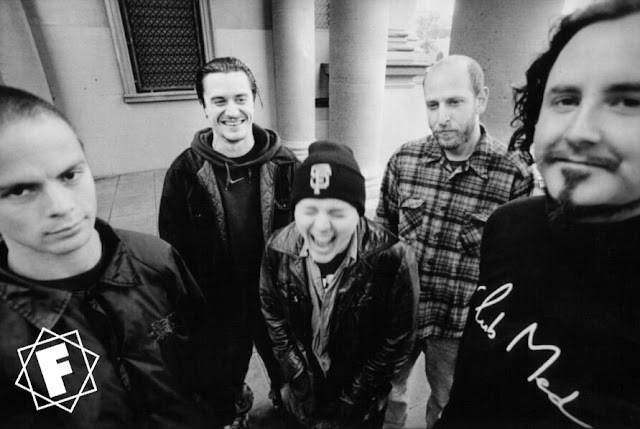 This updated and polished version of the song was a sound somewhere between 'The Real Thing' and 'Angel Dust' in which the band had become musically acquainted with Mike Patton. The song features in 'Bogus Journey' as does an iconic poster of FNM and of course Jim Martin in his acting début as 'Sir James Martin of the Faith No More spiritual and theological centre'. Big Jim utters the immortal word 'Station'. As always we can provide some literature to accompany this post for your reading pleasure. WHEN A+M released the soundtrack album to 'Bill And Ted's Excellent Adventure' in 1989, nobody - other than American music junkies like Derek Oliver and myself - raisedan eyebrow. But that album featured the first ever cut on record by Extreme, likewise for Tora Tora, a Glen Burtnick track, two from apre-CBS Shark Island and one from the curiously named Power Tool, who it later transpired was Nelson under a spoof name with the vocals overdubbed by another singer due to label wrangles. Thanks to the popularity of the original movie a sequel is due for release (expect UK cinemas to have it around November), and EastWest have seriously lucked out with this soundtrack LP. What a line-up! There's pretty much something for everybody on show here, and this album is a virtual 'must have' for anybody into this beloved musical genre of ours. 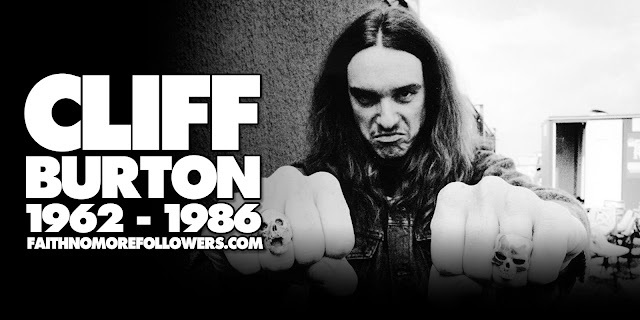 Like, can unreleased material from Kiss, Winger, Slaughter, Megadeth, King's X, Steve Vai and Faith No More interest you at all?! Obviously, as it's the first new song to appear from them since 1989's -The Real Thing' album, it's this Faith No More cut that arouses the most interest overall. And it doesn't disappoint, being weird, wonderful and kinda similar to a punk, funk fusion of Simple Minds and the Talking Heads! It's absolutely excellent and watch out for a cameo appearance from Jim Martin in the actual movie! As much as I dislike them live,Slaughter's records are good, and 'Shout It Out' is the song Mark and Co have chosen to open up this album with. Far from being a real anthem in the manner of the Kiss song of the same name, it sounds terribly average and certainly not up to the same standard of 'Stick It ToYa' Winger's 'Battle Stations' faresbetter. Possibly one of the heaviest tracks penned by the band so far, the guitars scream and so, strangely, does Kip. This one certainly grows on you after a few plays. Kiss' offering is, like Winger's, unusual. Paul and Gene have chosen to go for a cover of Argent's 'God Gave Rock 'N' Roll To You', and the dynamic duo trade lines together for the first time in what seems like more than a century. The production gives the song a strange Beatles-meets-Queen hue, and the overall feeling evokes memories of classic 'Destroyer'-era Kiss. The word is that this could well end up as a single. Both Megadeth's 'Go To Hell' and King's X's 'Junior's Gone Wild' are pretty much the kind of thing you'd expect from these acts, although the latter sound much more aggressive than usual. Primus' contribution to this compilation is superb, being a quite marvellous fusion of jazz, funk and Metal. Their track 'Tommy The Cat' features Zappa like lyrical humour and outrageous Level 42-gone mental bass work - certainly a real highlight, this one.Amazingly, so too is Richie Kotzen's 'Dream Of A New Day'. Another guitar playing man from the Mike Vamey School Of Excellence, this track is actually taken from last year's 'Fever Dream' LP and has a great vibe. It could best be described as a funkier Mr Big with MichaelBolton on vocals. Guitar guru Steve Vai contributes the instrumental 'The Reaper', which is typical fare, but he then adds variation with the closing 'The Reaper Rap', which is almost the same track but with excerpts from the movie dubbed on top. Call me dumb, call me stupid or even call me Dave, but Cm really rather unfamiliar with both Neverland and Love On Ice. Both look to be quite exciting prospects, especially the former who come across like U2 meeting Thunder at one of Derek Oliver's awesome Wimpire conventions. They have their own album due through Interscope very soon. "EXCELLENT!" That's Bill And Ted, DUDE!